March is declared as the Fire Prevention Month. 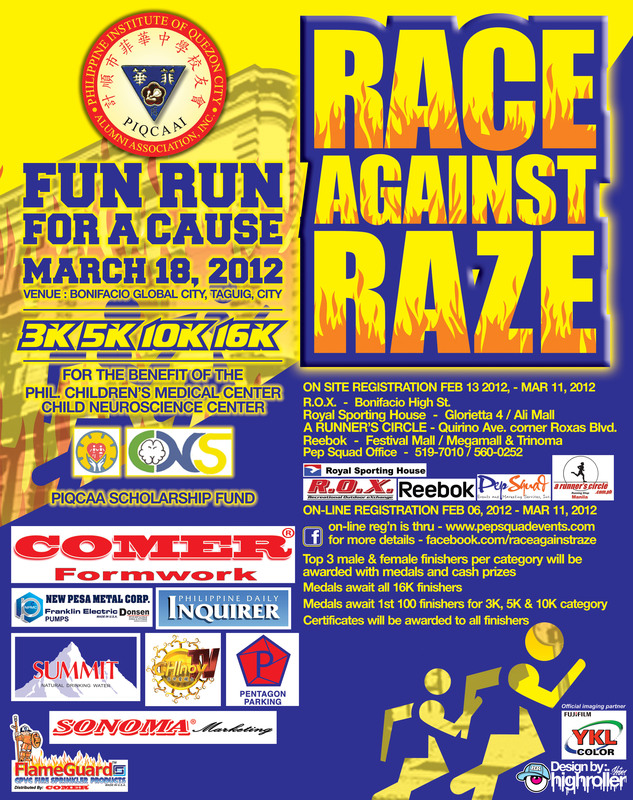 In line with this, the Philippine Institute of Quezon City Alumni Association, together with PepsquadEvents launches a fun run for a cause entitled “Race Against Raze”. February 6, 2012 – March 11, 2012 or until slots have been filled up, whichever comes first. February 13, 2012 – March 11, 2012 or until slots have been filled up, whichever comes first. Top 3 Male and Female will be awarded with medals and cash prize. Medals await all 16K Finishers. Medals await 1st 100 Finishers for 3K, 5K and 10K Category. Certificates will be awarded to all finishers. 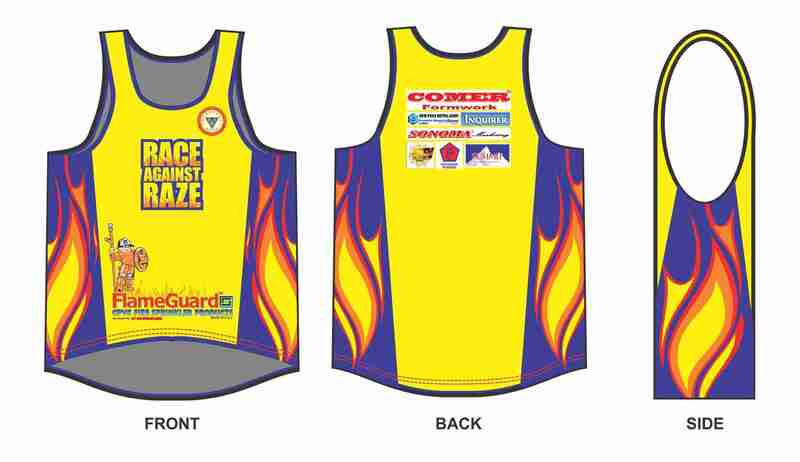 PEP SQUAD EVENTS & MARKETING SERVICES, INC.
« Winners of Discovery Channel’s Vertical Run Race Kit Giveaways!